A view of the Valley of the Nera, near Rome. Signed with monogram, inscribed and indistinctly dated ‘Valley of the Nera/18…’ (lower right) and with the artist’s notation ‘River’. Pencil heightened with white on buff paper. 10 1/8 x 13¾ in. (25.9 x 35 cm.). 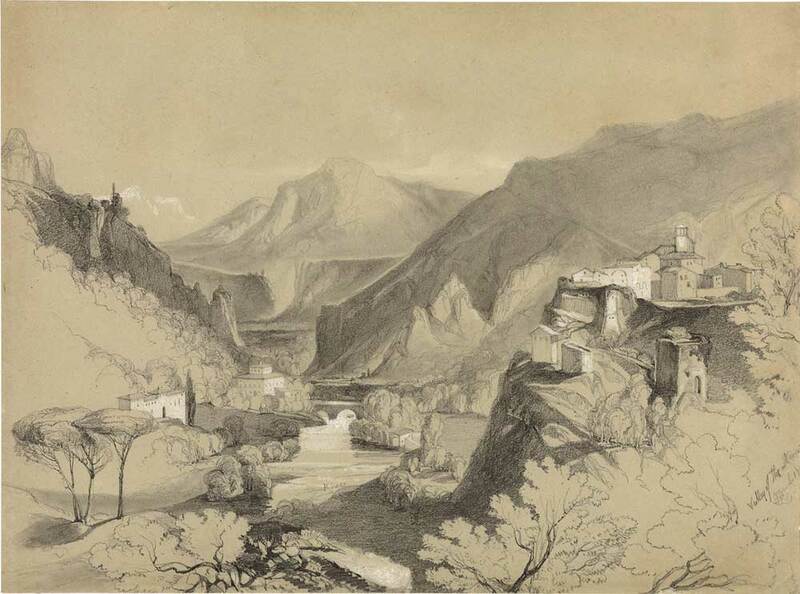 Lear most likely made this drawing during his first few years in Italy, circa 1838-39, when he would often travel through the Campagna. This entry was posted in Edward Lear and tagged Edward Lear, landscape, travel. Bookmark the permalink.